We have complied a list of over 80 fire engineer interview questions that were used in real interviews. 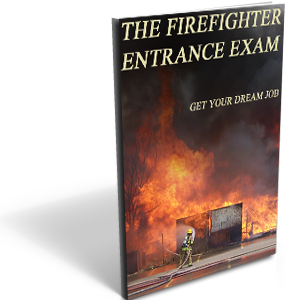 One of the most stressful events of your career will be the promotional interview for fire engineer. It is very difficult to gather your thoughts and articulate an intelligent response to questions thrown at you by a panel of Chiefs and upper command staff. Luckily many fire engineer interviews follow the same general blueprint. It will usually begin with basic, general questions about you. Then move onto harder and more specific questions. Most interviews will consist of several difficult scenario questions in which the candidate will have to walk the panel through an incident from start to finish. 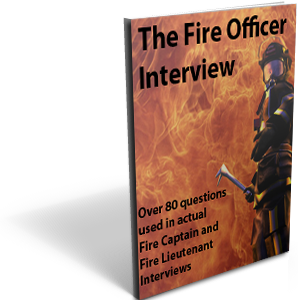 Here are some sample fire engineer interview questions from our ebook. Tell the panel about yourself and why you want to be an Engineer. What experience do you have driving fire apparatus, or heavy trucks? Have you ever had a traffic violation of any kind? Describe an engineer’s maintenance responsibilities for one of our pumpers. As a promoted engineer, what do you feel will be the greatest challenge you will face? You are a newly promoted engineer at a station with a veteran firefighter who does not like to wear his seatbelt when responding to calls. How will you handle this situation? As a newly promoted engineer, what will you do to support your Captain, Battalion Chief, and Fire Chief? Describe your typical duties as an engineer as part of a Rapid Intervention Team. What is NFPA 1500 and how does it affect your job as an engineer? Describe a difficult situation you encountered while on our department and how you handled it. These are excellent fire engineer interview questions. Our ebook has over 80 of these that were gathered from actual fire engineer interviews. We explain the most commonly asked SOP/SOG questions for fire engineer candidates, and explain how to properly answer the final question of the interviw. Our ebook even provides you with the most commonly asked scenario questions, strategies for a successful interview, and a comprehensive study system that helps you formulate your thoughts into great answers. This book is the best way to prepare for one of the most important interview of your life. 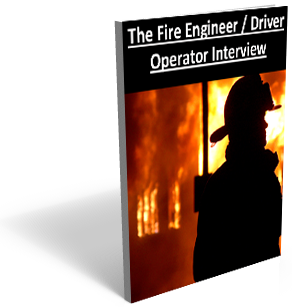 You can find our fire engineer interview ebook here. I purchased this book about a month ago and was very pleased. There is a lot of good information but the best is the list of interview questions. No other place has a list like this. Makes studying easier and gets you in the “answer” mode. I failed my first engineer interview because I took it too lightly. Since then I retested, scored a 95, and purchased this book. I studied this book for a couple of weeks and then had my interview. I was asked 10 questions, and 9 of them were word for word in this book. Thanks! I just got promoted after purchasing this guide. I typically don’t interview well and let my nerves get the best of me. After studying this guide I really felt comfortable in my interview. Great book. Just like the other guy, my interview had 11 questions and 9 of them were in this book. I even emailed Jason with the 2 questions that were not in the book, he said he would add them to the list. Thanks Jason. Lots of great questions, I really don’t see what else they could ask you in an interview. This guide seems to cover all the bases. It got me promoted ! I had a pretty bad first interview, but after buying this book my second interview went much more smoothly. Good book. Great list of questions, almost all of my interview questions were listed in this book. All I wanted was a bunch of interview questions that I could study for my engineer interview. This fit the bill perfectly. I went over each on and even modified them a bit to be more applicable to my department. It was a perfect gameplan that got me promoted. Every question in my interview was in this book. It was a great purchase. Really solid guide for getting promoted. My interview had 12 questions in it and 11 of them were covered in this guide. Jason was very helpful. My experience is just like everyone else’s. The majority of the questions in my interview were included in this guide. I enjoyed studying it and prepping with it. The interview questions were good, almost all of the questions in my interview were covered in this guide. I can’t imagine anyone who buys this would be surprised by a question in an interview. This covers everything that could possibly be asked. Fantastic ebook. I aced my interview and got promoted. Great book, it helped me get promoted. The engineer interview is tough. I was asked questions about engineer and stepping up to Lieutenant. This book was great and hand almost all of the questions in it. This was helpful. There are really a lot of questions in the book. Can someone tell me if these questions come from California? Really a solid group of interview questions, you couldn’t study these and be unprepared. It covers just about everything they could ask. This was a really good way to study for my engineer interview. The questions were hard and seem to be legit from real interviews. I needed to redownload the book onto another computer so I had to email Jason. He replied in about 10 minutes and got me taken care of. Great customer service. Pleased with the purchased, you can’t find this many good questions anywhere else, I’ve looked. After failing my first engineer interview I purchased this book. I studied for 2 weeks and then went to my interview. I was asked 10 questions and 8 of them were listed in this book. Excellent prep. Three weeks of studying and got promoted, great tool. This book was great, Jason helped me to download it to my phone and then again to my ipad. It was a huge help with my studying. Really solid ebook. It had a lot of engineer specific questions that were helpful for me. The biggest help for me was the interview section. this book covers almost any interview question you can think of. This is really a great way to prep for an interview, nearly every question that could be asked is listed in this book. Allowed me to cram for my interview in only 1 week. Would have had more time but the birth of my son had me in the hospital. Great product. Excellent study tool, it really is like having the interview questions in advance because this book covered every single question they asked me. After bombing my first interview I bought this book. Luckily there was another opening and I had the opportunity to interview again. I studied these questions for two weeks solid and aced my interview. They asked me nearly every question in this book. Thanks! What a huge help for the interview. I always strugle talking in front of people and this book really put me at ease. I always tested well but struggled with the interview. This book really honed my interview skills and gave me more confidence. I had a great interview and got promoted. What a blessing for those of us who are terrible interviewers. This helped me from getting so worked up when I walk into the room. It had almost every single question they asked me. Excellent product, it got me promoted. Great way to prepare for an interview because it is so comprehensive. Very pleased with the ebook, the questions were very helpful. Very comprehensive book. It did a great job preparing me for my interview. Almost every question that they asked me was covered in this book. This book covered every question in my interview, what more do you want to study? I failed my first interview bad. I just got really nervous and blew a couple of questions. I bought this book and studied for three weeks. I was much more calm and confident in my second interview. It has a bunch of excellent questions and almost all of my interview questions were covered in the book. Very pleased. Very good interview questions and a pleasant way to study. I was very comfortable with all of the interview questions before I even walked into my interview. It takes a great deal of stress off of you. 90% of the questions in my interview came out of this book. It was very good in helping me prep. My experience was exactly like the other guys. This book was really impressive and easy to study. Easy to study and prep with. I would recommend this to anyone who is going into an interview. Easy to study and very happy with the product. It helped me immensely with the interview process. This made my interview so much easier than last time. Almost every question in the interview was listed in this book. This book helped in my preparation for my driver operator interview. It allowed me to really focus on real questions that would be asked. When my interview came almost every single question in the interview was covered in this book. Invaluable way to prep for the engineer interview. I had a fire engineer interview that I was not prepared for. We just had our first baby and I had zero time to study or prep for the interview. Another firefighter recommended them and I decided it was worth a try. I was very impressed. I studied this book and had my interview two days later. I passed with flying colors. Very thorough and detailed. Great way to study. Where the book really shines is in its ability to help you formulate better answers than your competitors. I have been through several interviews at different departments. The sample answers are insightful and give you great ideas. You obviously don’t want to recite the sample answers, but they are very helpful. The book provided a great insight into the interview and questions. I really did good and was promoted last week. Thanks guys! Had my Driver Op interview and used this to study. It was a good study tool and really helped me prepare. Solid book that really prepped me for my interview. It covered 9 of the 10 questions that they asked me. I got promoted and can’t say THANKS enough! Excellent book that contained almost all of my interview questions. Very happy with it and my interview results. Top notch prep material. Really helped me with the interview. I was much more confident in answering the questions after reading this book. Thanks so much for the help. I couldn’t download the book to my nook reader but a quick email to these guys and they fixed it, great book. Great way to study for the driver operator written! Every single question that was asked in my interview was addressed in this book. I couldn’t be more pleased. Loved the book. Great way to study. Excellent customer service and top quality book. I didn’t know how to get the email onto my kindle so I emailed these guys. I had an answer within 20 minutes. What a great interview book. It covered every single question they asked in my interview. It really is like having the questions in advance! This is the only way to study. It had every question they asked in my interview. Just awesome, every question asked in my interview was covered in this book. Can’t ask for more than that. This book had almost every question from my interview. It was an awesome purchase and very helpful. Very good way to prep for the engineer interview. Great way to study, very good customer service. The guys helped me customize a few questions for my specific situation. Great quality book and top notch customer service. I studied for two weeks with this book and aced the interview.